W. Ronald Schuchard is the Goodrich C. White Professor of English Literature, Emeritus, at Emory University and is a founder member of ACIS South (the Southern Chapter of the American Conference for Irish Studies). He is the author of many books on modern literature, including The Last Minstrels: Yeats and the Revival of the Bardic Arts (Oxford UP, 2008), and Eliot's Dark Angel (Oxford UP, 1999), which won the Robert Penn Warren-Cleanth Brooks Award for Outstanding Literary Criticism, and the SAMLA Studies Award for the best book published by a SAMLA member. He is General Editor of the multi-volume edition of The Complete Prose of T.S. Eliot, and has edited T.S. Eliot's The Varieties of Metaphysical Poetry (1993.) He is co-editor with John Kelly of The Collected Letters of W.B. Yeats, published by Oxford University Press: Volumes 3, 4, and 5 (1994, 2005, 2008.) The fourth volume won the MLA Morton N. Cohen Award for a Distinguished Volume of Letters. 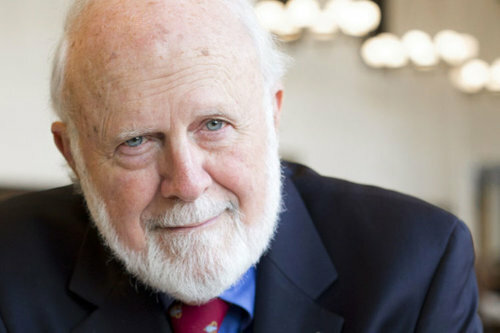 At Emory, he is founder-chairman of the Richard Ellmann Lectures in Modern Literature, inaugurated by Seamus Heaney in 1988, and is former director of the Yeats International Summer School in Sligo, Ireland. He is an Honorary Member of SAMLA and of the T. S. Eliot Society of St. Louis. He has been a Visiting Fellow at Wolfson College, Oxford; Trinity College, Dublin; Queen's University, Belfast; and the Institute of English Studies, University of London, where he has been elected a permanent Senior Research Fellow. Schuchard is a faculty advisor to Emory University's Stuart A. Rose Manuscript, Archives, and Rare Book Library. He has devoted much time to developing that entity's outstanding archive of twentieth-century Irish and English manuscript collections.